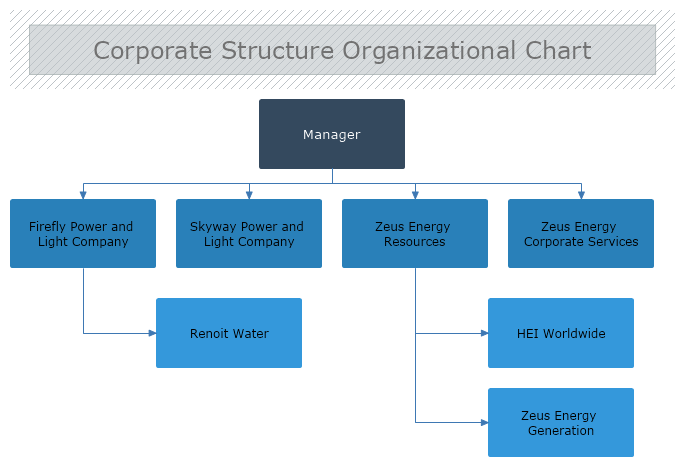 This diagram template demonstrates a Corporate Structure Organizational Chart. The diagram suggests that on the top of the hierarchy stands the Manager of the corporation. Following down the hierarchical line of the corporate org chart structure are the different companies which are part of the corporation.